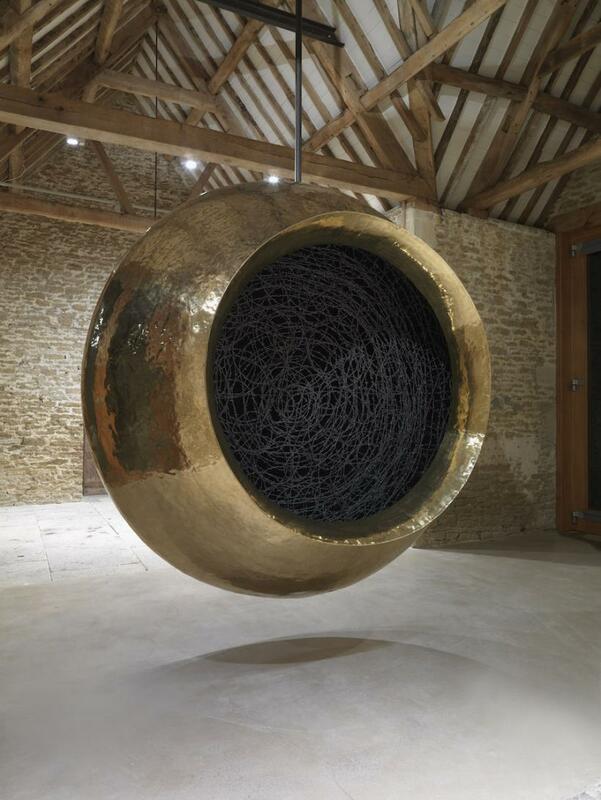 In the heart of the Somerset countryside a familiar, yet alien, object has appeared. ‘Specimen No. 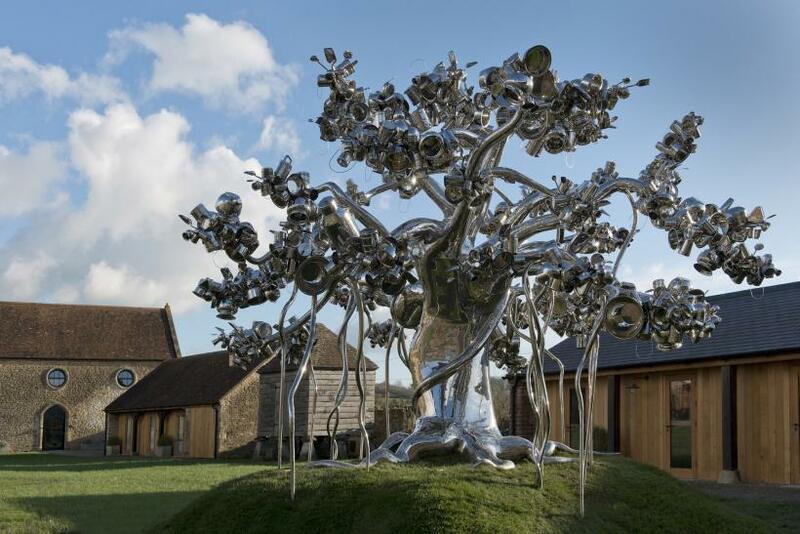 108’ (2015), a life-sized stainless steel model of a Banyan tree, is the spectacular outdoor introduction to this collection of sculptures and installations created over the last six years by New Delhi-based artist Subodh Gupta. The banyan tree is highly polished, and from its searching branches hang Gupta’s trademark cooking pots and utensils. Its title, ‘Specimen No. 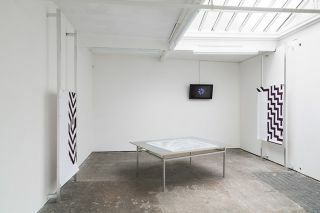 108’, invites a spiritual reading of the work; the number 108 bears great significance in many South Asian religions, but by labelling the tree a specimen Gupta pulls us back into the scientific realm. 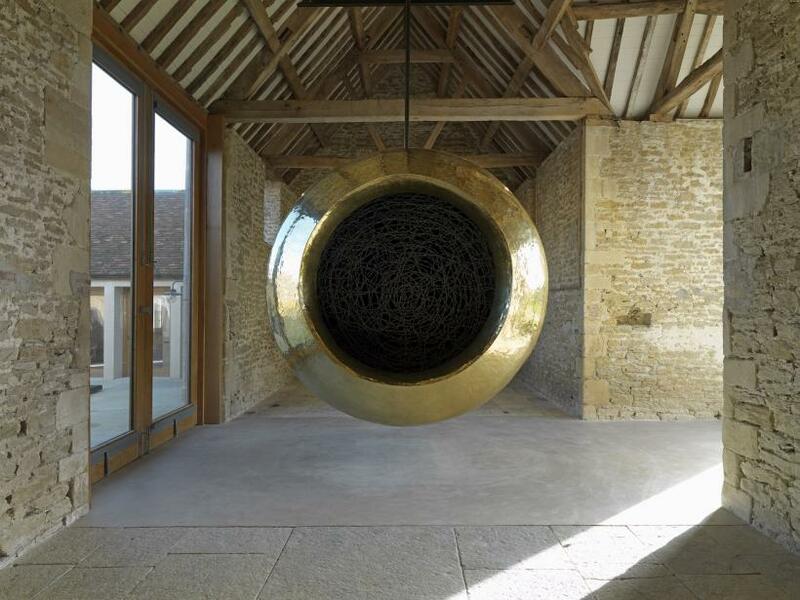 The exhibition occupies all five of Hauser & Wirth’s galleries, beginning with the threshing barn which is occupied by ‘Touch, Trace, Taste, Truth’ (2015). 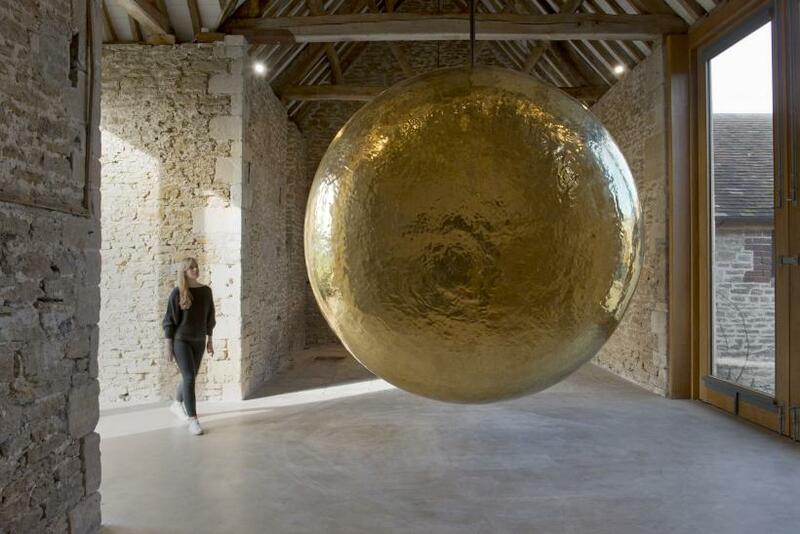 Hanging from the ceiling and almost as wide as the space itself, this enormous brass sculpture appears sun-like, or reminiscent of that mythical symbol of the exotic east – the gong. 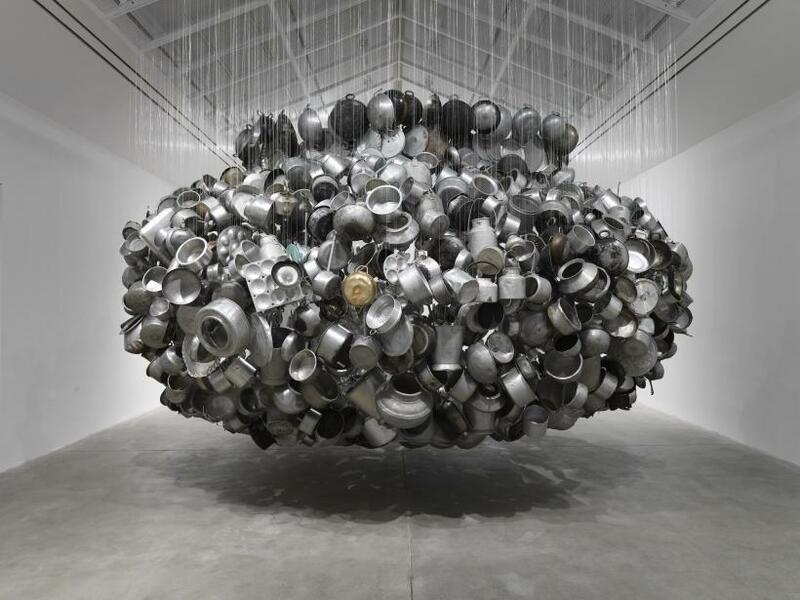 As one moves around it the piece reveals itself as a giant cooking pot, upended and with its open side filled with rings of barbed wire. 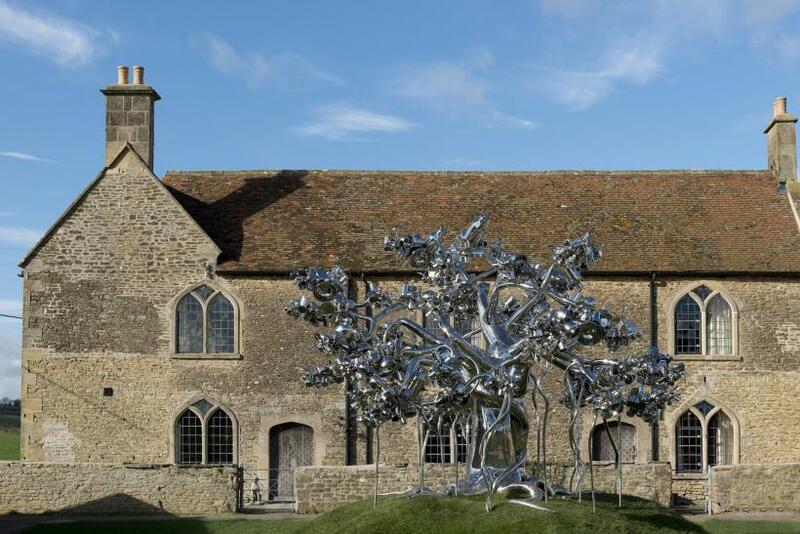 The piece hums with religious and spiritual undertones, and the contrast between the welcoming sun – the oldest and most common of all the known deities – and the tangled mass of man-made barbed wire inside it is an allusion to the show’s theme of invisible realities and the mystery that lies within. 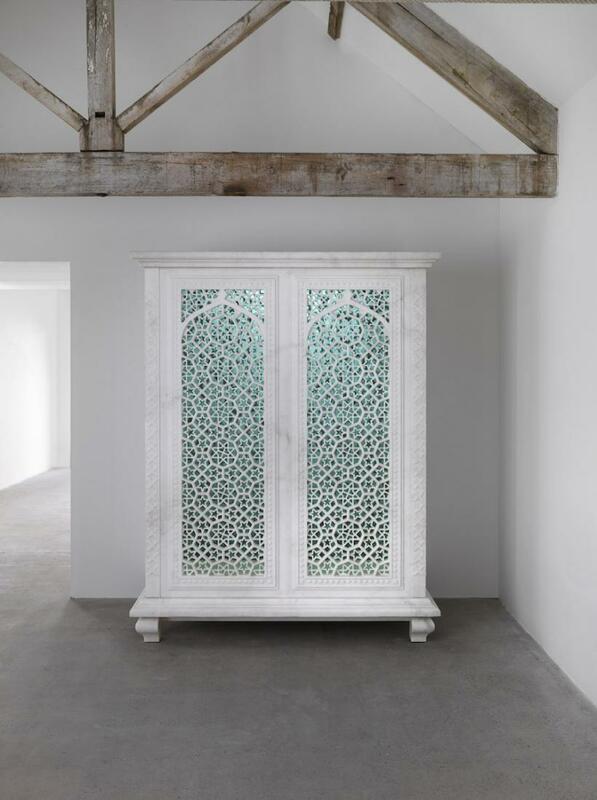 Hauser and Wirth’s more conventional white-walled galleries house a number of smaller works, from the experimental ‘Pressed for Space’ (2016), in which pots and pans have been flattened, condensed into canvas-like dimensions, and hung like paintings, to the eerie ‘Sunset’ (2015), a carved marble almirah (to the untrained eye, a wardrobe, but in Gupta’s homeland an ornamental balcony piece) behind the doors of which a projection of television screen static plays, accompanied by a white noise soundtrack. We recognise this from the movies as the archetypal portal to another world, through which visitors from beyond the grave access the land of the living; again alluding to a hidden darkness beneath the crafted veneer. 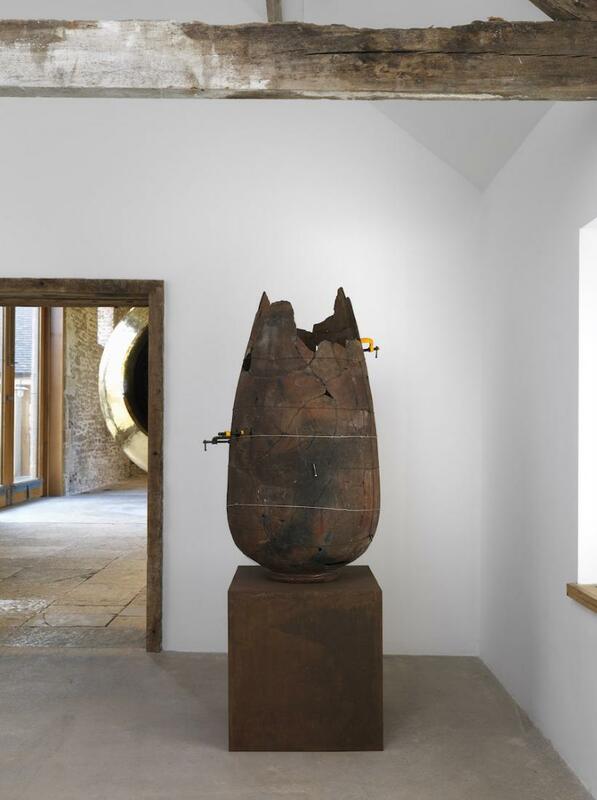 Unassumingly occupying a low plinth in a corner stands ‘There is Nothing Outside the Text’ (2013), a large terracotta jar, shattered during manufacture, and now held together with clamps and steel wires. Preserved despite its uselessness, extant yet denied its utility, the piece becomes a blank space onto which ideas of imperfection, incompleteness, and preservation can be projected. 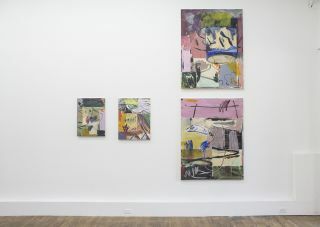 Upended, ‘There is Nothing Outside the Text’ remains a vessel, only this time for the stories we immediately understand on meeting with it – we see it being moulded, then broken, and we imagine its reassembly. 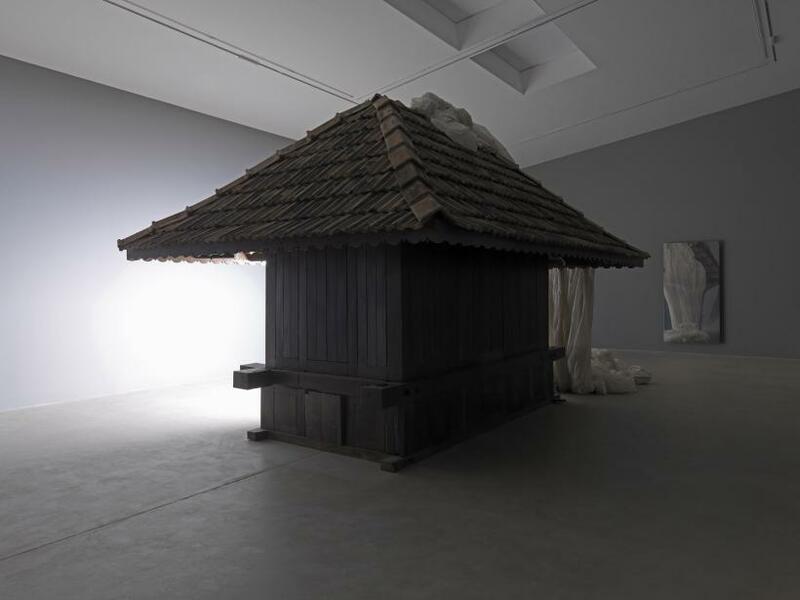 In the central gallery the show’s titular work, ‘Invisible Reality’ (2015), comprises a recreation of a traditional wood and terracotta South Indian homestead. 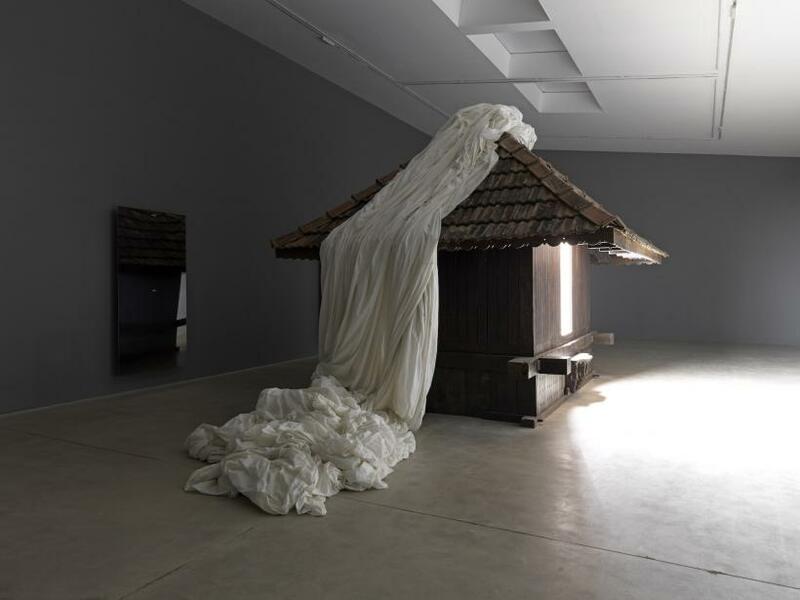 From its doorway a brilliant white light – described by the artist as the alien within – repels us, while from its roof a cascade of white fabric billows over one side and out into the floor of the space. On the walls stainless steel panels conceal hidden amplifiers, timed to emit an intimidating roar every five minutes or so. 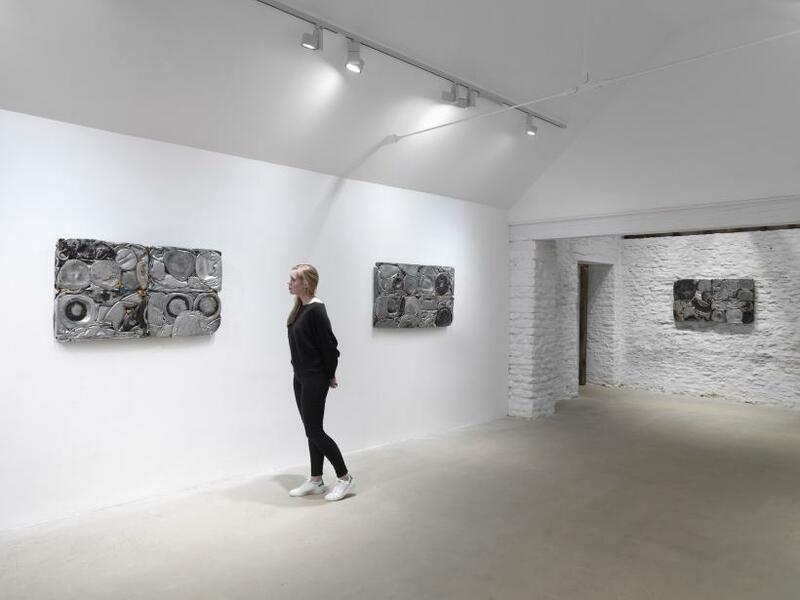 The resultant cacophony is one of rumbling thunder that builds to a crescendo of crashing waves, while the steel panels themselves ripple and distort any images reflected in them. 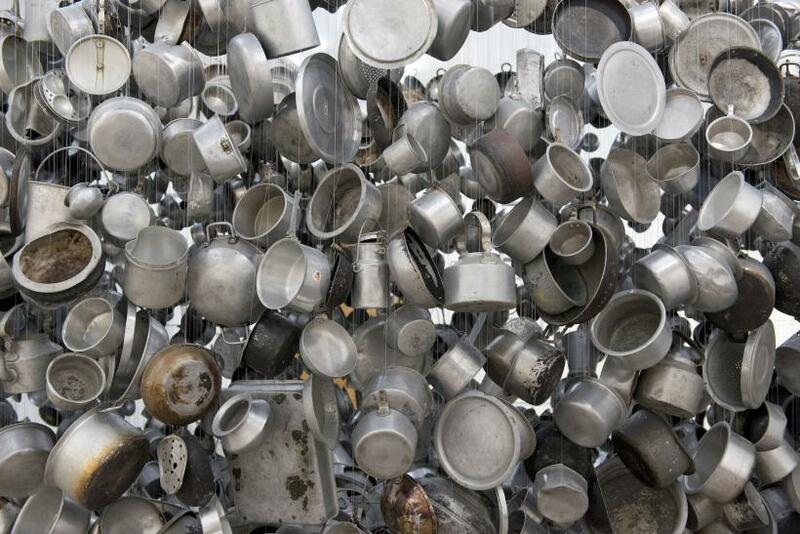 The recurring materials in Gupta’s work – the utensils used by his countrymen, around and through which a culture has been woven – return to centre stage in the final gallery, as they hang in their hundreds from the ceiling to create a composite sculpture of one gargantuan cooking pot. These are not fashioned from the highly polished steel and brass of ‘Specimen No. 108’ and ‘Touch, Trace, Taste, Truth’, rather these are real life aluminium cooking pots, each lined with scars from the utensils that were used to stir and serve up uncountable meals. Each pot tells a story, as does each dent, scrape, and scorch mark. Each pot is an integral part of the whole, and the invisible reality of this piece is the billion stories told as families and friends come together to do what humans have been doing communally since long into prehistory; to eat. 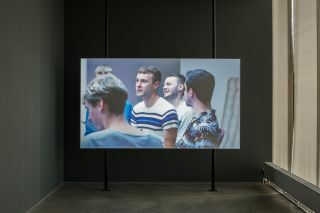 Gupta’s finishing touch to this exhibition hits on just that, as for the duration of the show the menu at Hauser & Wirth’s onsite restaurant, the Roth Bar and Grill, will showcase a number of dishes recommended by the artist himself and influenced by his homeland. The chickpea curry is particularly good.